I’ve been doing a lot of thinking lately about which record, song, or band related article of clothing could be worthy of the 1000th post milestone. I’d thought about an elaborate photo shoot involving mannequins, mood lighting, and every colored vinyl record I own, but quickly abandoned that scheme due to time and budget. 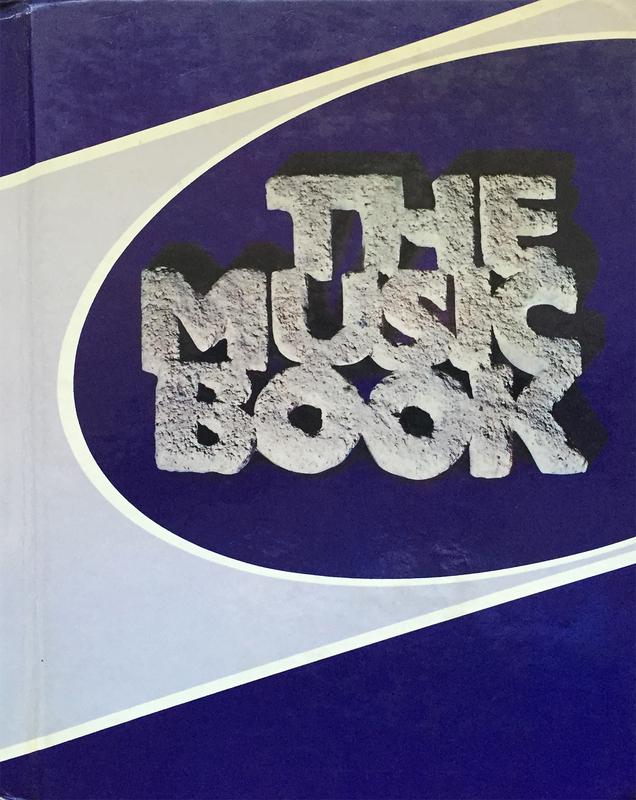 So instead, I’m reaching back… WAY back to my elementary school years to one my most prized possessions, 1984’s The Music Book. My grade school had a music house, an old, free-standing building acquired by the administration which was converted into a large singing and instrument-practicing box. 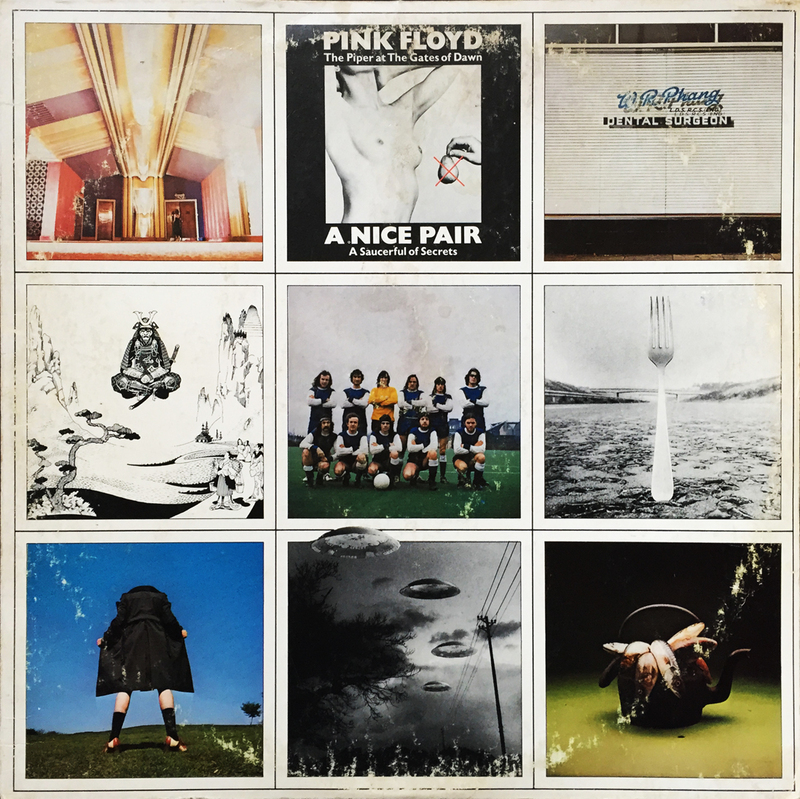 From kindergarten through 6th grade, I’d shuffle across the street with my coworkers (classmates) and we’d put on our color-coded name tags and learn about the wondrous world of music. In the early years, before poorly attempting my hand (and lungs) at the alto sax, we’d sing various songs from the purple bible known as The Music Book. Rife with colorful illustrations and catchy, young crowd-pleasing songs, The Music Book sat in a long row on the North wall of the music house, and each grubby little troublemaker would grab one before taking his or her assigned seats. Our teacher, the lovely and talented Mrs. Fenske, would take roll call, then requests for which song the class wanted to sing first. 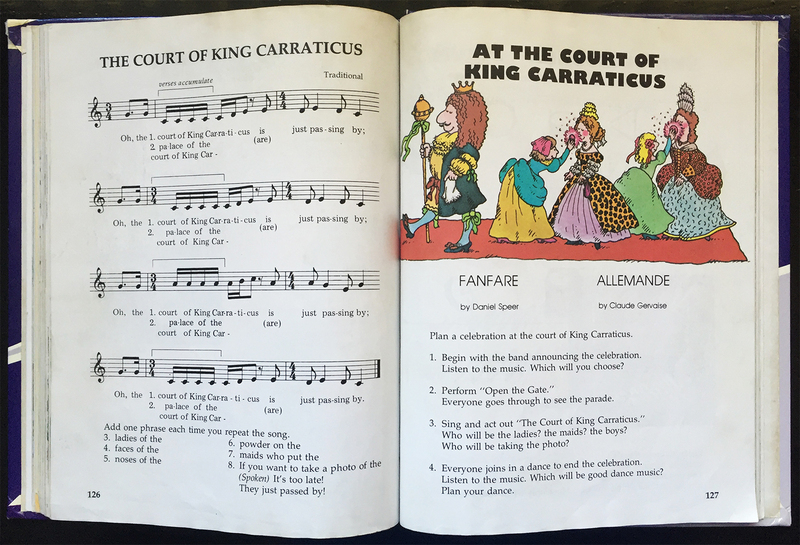 At the Court of King Carraticus, It’s All Right to Cry, and The Lollipop Tree were all crowd favorites, and often sung every day. 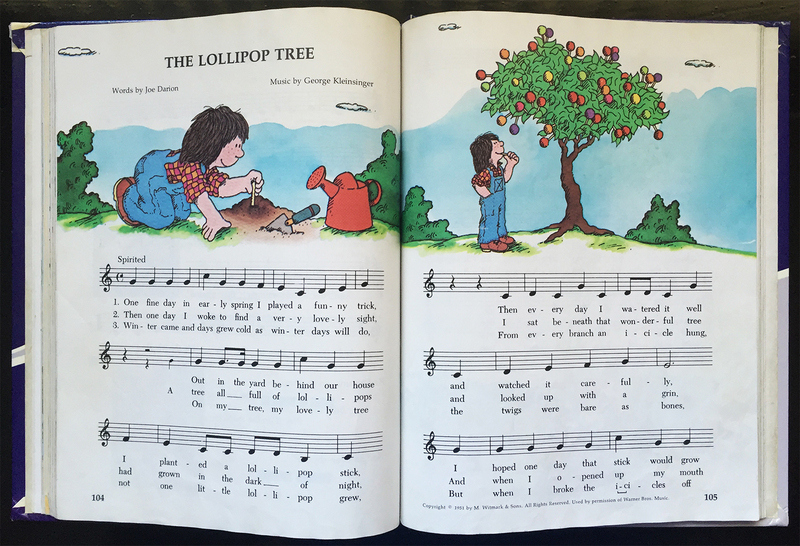 Now, I’m not sure if it was youthful innocence, the comic-like illustrations, or the music itself, but for a bunch of us, The Music Book meant so much more than just another text book. 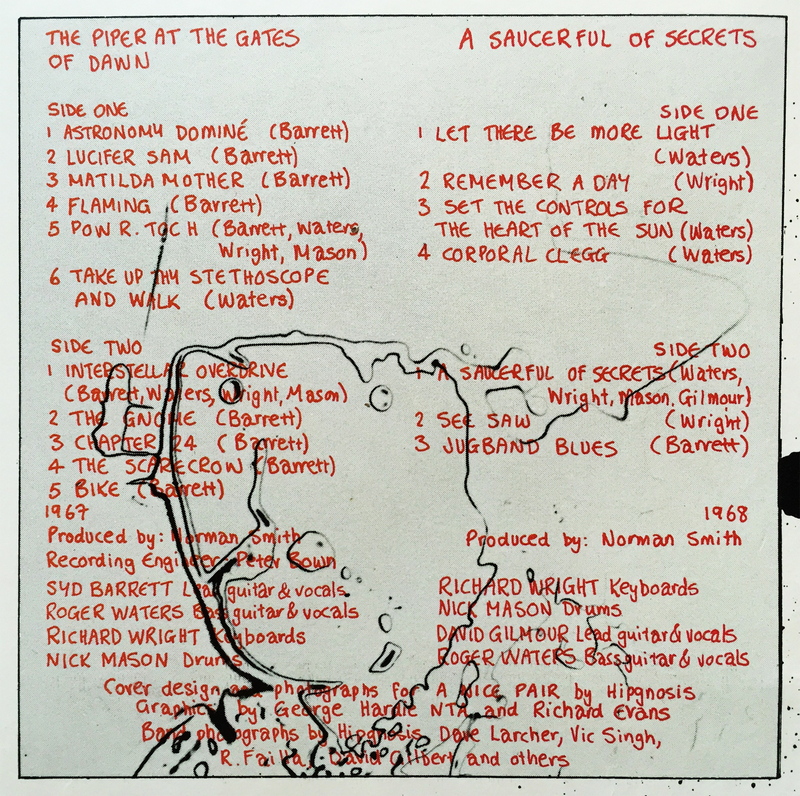 It represented a blameless and simple era of our lives inspired by the art of noise, and served as an open door to a lifelong appreciation for the medium. Because I’m a sentimental sap, I hold this book very dear to my heart. It is a symbol of purity, of animated gaiety, and I look back at that time with fervent admiration. For my love of music, I have Mrs. Fenske and The Music Book to thank.